As part of their discussion of different types of libraries around the world, International Librarians Network recently featured Bridgette to get the perspective of someone that works for libraries, rather than in one. We thought it was a great idea to embrace this point of view for our Meet the Librarian blog series. 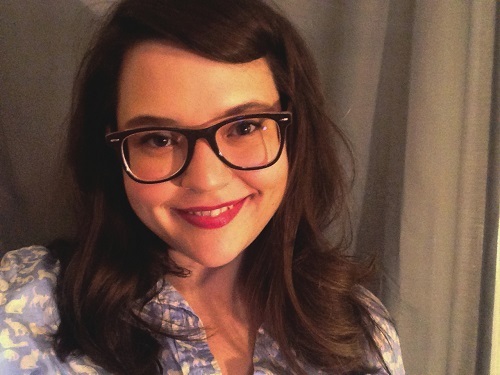 Bridgette Hendrix, Acquisitions Specialist for ProQuest, is an ILN participant and long-time supporter, and leads the IFLA New Professionals Special Interest Group (NPSIG). Like a lot of people, I didn’t even realize that there was a career path in libraries until I had a supervisor at Borders (RIP) tell me that they were pursuing their MLS. At the time I was in undergrad and I loved working at a bookstore. Helping connect people with information and yes, being surrounded by books, were my favorite parts of my job. Once I realized all of the different specialized niches in the LIS world, I was smitten and never looked back. What brought you to ProQuest? It seems to me that anytime someone goes into a library program with a sure idea of what they want to do and where they’d like to work, they always end up someplace completely different. It was certainly true of me and my friends in library school. Going into my library program, I was confident that I wanted to go into an academic library and work as a liaison to a history or foreign language department—two areas I concentrated on in my undergraduate studies. While I was in school, I saw ProQuest Graduate Education Program’s Student Trainer Internship advertised on my library school’s listserv. The internship looked interesting, preparing library school students to act as trainers at their campuses, teaching students how to use ProQuest products, but I kept deleting the emails. I don’t know why I kept deleting the emails, but on the day before the application deadline my curiosity got the better of me and I applied. I was accepted and as part of the internship training program, was flown out to Ann Arbor to ProQuest Headquarters for an intense, three-day crash course in all things ProQuest platform. 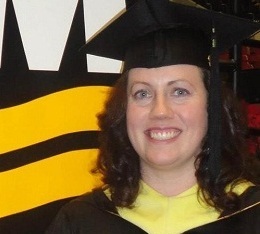 It was a really amazing experience and totally ignited my love of instruction and information literacy. When graduation time rolled around, I saw a position open in our Bethesda office and having had such a great experience with my internship, I immediately applied. While it’s vastly different work from what I had originally seen myself doing, in the almost-two years that I’ve been with ProQuest, I’ve realized that non-traditional library jobs can be just as interesting and rewarding as working in a library, in completely different ways. How is your library degree useful in your current position? The Bethesda office mostly concentrates on ProQuest’s US government, historical, and statistical research products. My work involves acquiring content for ProQuest’s statistical products. You know those reports and documents that you’re pulling up in your ProQuest databases? My job is to make sure those documents get there. I try not to let the power go to my head too much, but it is pretty cool knowing that what I do directly impacts the content researchers have access to. Describe a day in the life of a ProQuest librarian. A typical day for me starts by settling at my desk (with a large cup of coffee, naturally); checking for updates on research and reports that we regularly cover and looking at feeds and websites for new research and possible sources of content for my products. A huge part of what I do involves staying on top of current research in my sectors. It’s funny to me that I get to do what everyone tells you librarians don’t do anymore: spend time reading over materials to get relevant, interesting research for our products. 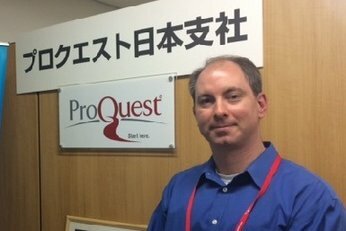 I also work closely with ProQuest’s abstractors and editors, who do the quality control and metadata part of the content process. They work hard to make sure that the abstracts for our content accurately reflect the material, giving researchers concise and informative summaries to help them find what they need quickly. I spend a good amount of my time talking to government agencies and other organizations about their research, and sometimes I even get to help them! Now with that said, my position is a pretty desk-bound affair. I don’t get the opportunity to directly interact with our librarians or their researchers much, which is something that I do miss, being the extrovert that I am. I also miss having direct contact with the library world. Luckily, we take office culture pretty seriously around here, and there are tons of different opportunities for us to engage with the library world. Vendors do have a vested interest in their employees, especially those of us coming from the library world, and staying connected with the LIS field at large. We might be a little removed from the front lines, but we’re never far away. What do you see as the main difference between working for a vendor and working for a library? Most libraries are non-profit, government and educational institutions. ProQuest, and vendors like us, are for-profit companies with a focus on technology, research, and education. We are subject to market forces and sales forecasts. Working in that kind of environment does have its challenges, but it’s also part of the appeal. I am proud of the products that ProQuest develops and I believe that at our core, we have the same mission as any library: connecting researchers and librarians to the information they need and providing thoughtful solutions to simplify the research process. What advice do you have for LIS students who are still determining their career path? There can be a stigma by librarians about vendors, but I’m here to tell you that working for a vendor is a viable and rewarding career path that is an often overlooked by those of us with LIS degrees. In fact, vendors are typically pretty excited about hiring employees with MLS degrees. My experience with ProQuest, especially my colleagues and teammates in Bethesda, has been more than positive. In ProQuest, I’ve found a supportive professional environment where I have the opportunity to earn a living helping connect people and information. It might not be exactly what I envisioned when I started graduate school, but it’s certainly not far off the mark. My professor for my first course in library school was this amazingly energetic public librarian. One lesson I learned from her was to always be open to opportunities. There were many little projects and internships that I took on that afforded me great opportunities later. Applying for a random scholarship allowed me to go to Singapore for the International Federation of Library Association’s annual meeting, which led to me volunteering with their new professionals group, which I was recently asked to lead. You never know what you’ll learn or who you’ll meet, so be as open as you can. Say yes and figure it out later!